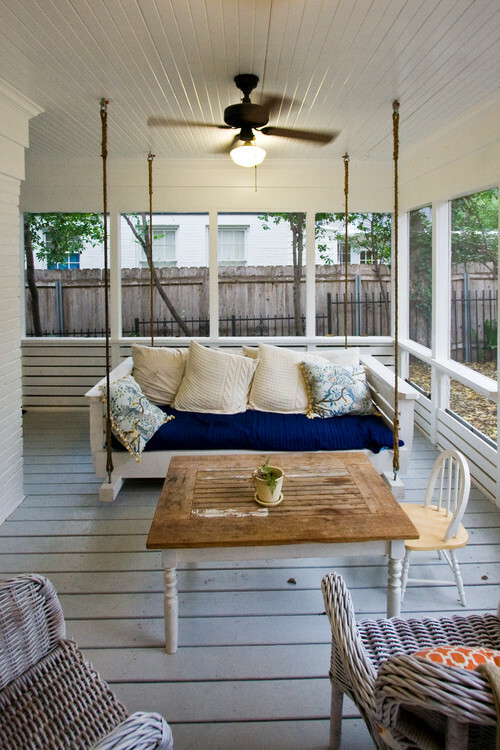 The only thing better than a porch swing is a porch BED! One of our photos that we have on Houzz had started to show up on a lot of peoples searches this year… which is cool! But when someone actually adds it as one of their references when doing an article about great outdoor spaces… well that’s downright flattering. Thanks for including us Laura Gaskill! This is a Maggie McIntosh original design for our great clients Anna and David Trimble! Kitchen ideas, bathroom ideas, and more ∨Home improvement can start with something as minor as installing track lighting or unique ceiling fans. Love your pets? Make sure they have all they need by buying a new pet bed, pet bowl and a variety of fun pet toys.